The Wadsworth Atheneum is comprised of five connected buildings. The first was the Gothic Revival Wadsworth building of 1844, designed by the eminent architects Ithiel Town and Alexander Jackson Davis. It originally housed the art gallery, the Connecticut Historical Society, the Young Men’s Institute (which became the Hartford Public Library), and the Natural History Society. The Watkinson Library of Reference was added to the original building in the 1860s. The Tudor Revival Colt Memorial of 1910 and the Renaissance Revival Morgan Memorial of 1910-15, designed by Benjamin Wistar Morris, provided additional space for the growing fine arts collection. 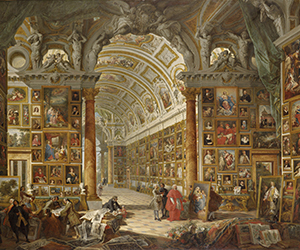 The Wadsworth Atheneum’s art gallery developed slowly during its early years. 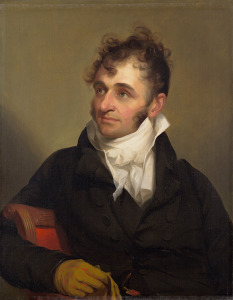 The collection consisted mostly of history paintings, portraits, and American landscapes by artists such as John Trumbull, Thomas Cole and Frederic Church, along with examples of Victorian sculpture. 1889: The Atheneum entered a period of rapid growth when the Goodwin and Morgan families spearheaded a public fundraising campaign for a renovation and expansion program, completed in 1893. 1905: Elizabeth Hart Jarvis Colt bequeathed over 1,000 objects to the museum, including paintings from the Hudson River School, decorative works, and the firearms collection of her late husband Samuel Colt, as well as funds for the construction of the Colt Memorial. 1907: Hartford native J. Pierpont Morgan offered to build the Morgan Memorial, and in 1917 J.P. Morgan, Jr., presented the museum with his father’s collection of ancient bronzes, Renaissance majolica, 17th century ivories and silver gilt objects, and Meissen and Sevres porcelains. In 1926 Morgan purchased for the Wadsworth Atheneum the preeminent Wallace Nutting collection of American “Pilgrim Century” furniture and decorative arts. 1927: The bequest of Frank C. Sumner established the Ella Gallup Sumner and Mary Catlin Sumner Collection fund, in memory of his wife and sister-in-law. This fund continues to enrich the museum’s holdings by enabling it to purchase paintings of the highest quality. The Wadsworth Atheneum was the first American museum to acquire works by Caravaggio, Miró, Mondrian, Balthus, Harnett, Cornell, and Dalí. The modern history of the Wadsworth Atheneum began in 1927 with the appointment of A. Everett “Chick” Austin, Jr., as director. During his 17 year tenure, Austin founded the museum’s collection of European paintings, focusing particularly on the baroque field, and acquired masterpieces by leading modernists. He also introduced other emerging art forms that were new to museums at the time—music, dance, theater, film, and photography. Austin’s former Hartford home, the Austin House, is the largest object in the museum’s collection and a National Historic Landmark. In the 1930s under Austin’s leadership, the Wadsworth Atheneum presented America’s first major Italian Baroque exhibition, its first Surrealist show, and its first comprehensive Picasso retrospective. In 1933 Austin sponsored choreographer George Balanchine’s immigration to America, whose company would later become the New York City Ballet. Gertrude Stein, Virgil Thomson, Salvador Dalí, Alexander Calder, Le Corbusier, Walter Gropius, Martha Graham, and Agnes de Mille were among the famous figures that Austin brought to Hartford. Charles C. Cunningham, director from 1946 to 1966, enriched the Italian, Spanish and Northern baroque collection with works by artists such as Panini, Zurbarán, Ribera, and Hals. He built the French Impressionist collection with major works by Monet, Renoir, and Pissarro, added to the holdings of English art with Turner, Wright of Darby, Holman Hunt, and Stanley Spencer, and expanded the American collection with paintings by Homer, Inness, Eakins and Wyeth. He established professional curatorial standards and nearly quadrupled the staff, creating the offices of Education and Membership, and the Department of Costumes and Textiles. In 1966 James Elliot became director and during his 10 year tenure developed the contemporary collection in particular, presenting innovative programs of theater, music, and dance. In 1975 he founded the MATRIX program of focused exhibitions, performances and lectures, reflecting diverse trends in contemporary art. 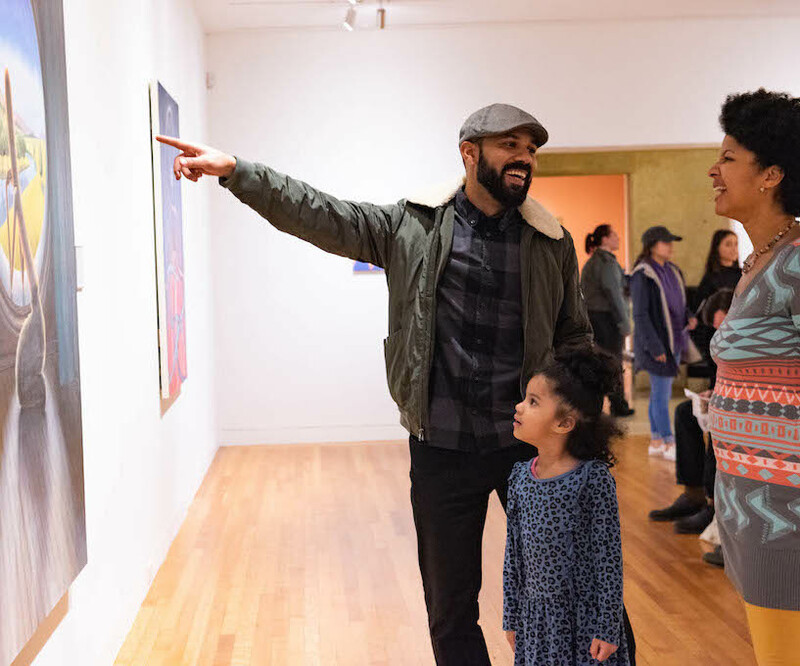 The MATRIX program has showcased the work – often for the first time in a museum – of more than 150 emerging artists, many of which are well-known today, and has inspired over 50 similar programs at art museums across the country. Between 1977 and 1987, director Tracy Atkinson focused on a renovation of the buildings and an increase in gallery space. The museum produced larger, more frequent special exhibitions and publications. Under Atkinson, the Wadsworth Atheneum helped establish the Amistad Foundation, now the Amistad Center for Art & Culture, a sister organization and a repository of African American art and artifacts. In 1985 the museum also acquired Chick Austin’s extraordinary Palladian house, known as the Austin House. Patrick McCaughey became director in 1988 and served until 1996. He appointed the first Curator of African American Art, acquired important European and American works, and oversaw the redesign of the main lobby with wall drawings by Sol LeWitt. McCaughey dramatically increased the museum’s international audience, sending large portions of its permanent collection for exhibition to Paris and Japan, as well as launching and supporting the first major Australian-American landscape show. Peter C. Sutton, named director in 1996, created the first monographic exhibition of the Dutch master Pieter de Hooch in 1999. He launched a series of exhibitions inspired by the permanent collection that combined originality with broad popular appeal, including Dalí’s Optical Illusions. These continued well beyond his tenure. The museum expanded its collections with works ranging from Old Masters to Pop Art. Kate Sellers served as director from 2000 to 2003, when the museum contemplated a large-scale physical expansion while ground-breaking exhibitions continued, notably The Impressionists at Argenteuil, the most popular show in the museum’s history. Willard Holmes, appointed director in 2003, continued the exploration of additional museum space, while large portions of the museum’s American and European collections traveled throughout the United States and Europe to unprecedented acclaim. Susan L. Talbott became the Atheneum’s director in 2008. During her tenure she developed new programs and exhibitions that were both engaging and intellectually exciting, expanded the collections through significant acquisitions, and spearheaded the Community Engagement Initiative. 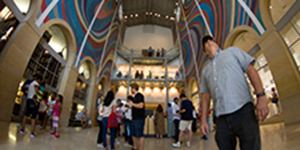 The largest project overseen by Talbott was a $33 million renovation of the museum’s campus, restoring its buildings to their historical splendor and completely reinstalling the museum’s collections of Post-War art, Contemporary art, European art, and European decorative arts. 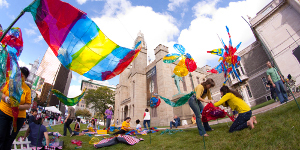 Thomas J. Loughman is the current Director and CEO at the Wadsworth Atheneum. 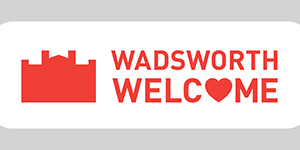 Arriving in early 2016, he has already changed the conversation about the museum’s role in Hartford, launching Wadsworth Welcome, a free access program for city residents that emphasizes the message that the museum belongs to the Atheneum’s most immediate neighbors. Prior to coming to Hartford, he served as the Associate Director at Clark Art Institute in Williamstown, Massachusetts, (2008-2016) as well as in a variety of curatorial, research, and teaching roles in the field. A highlight of Dr. Loughman’s past work is his organization of the 2010-2014 global tour of the Clark’s core collection.